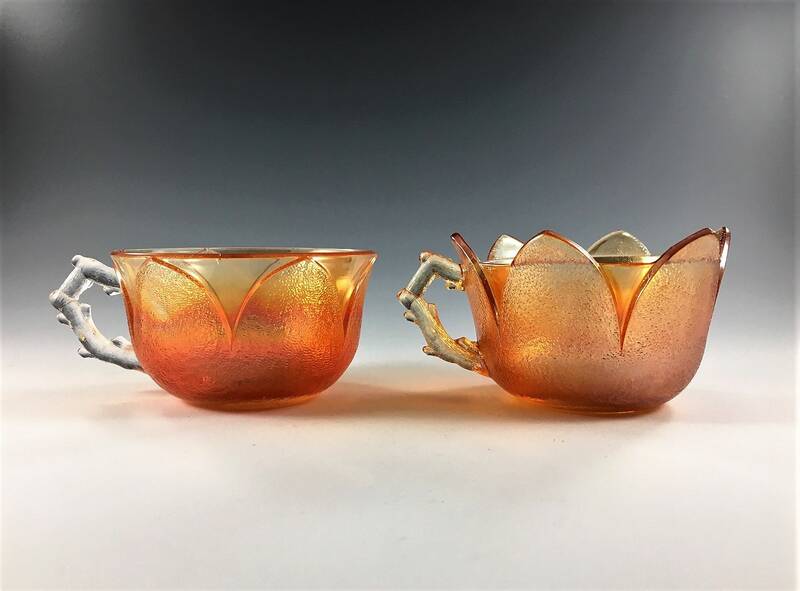 Featured is a stunning pair of iridescent cups from Westmoreland Glass. 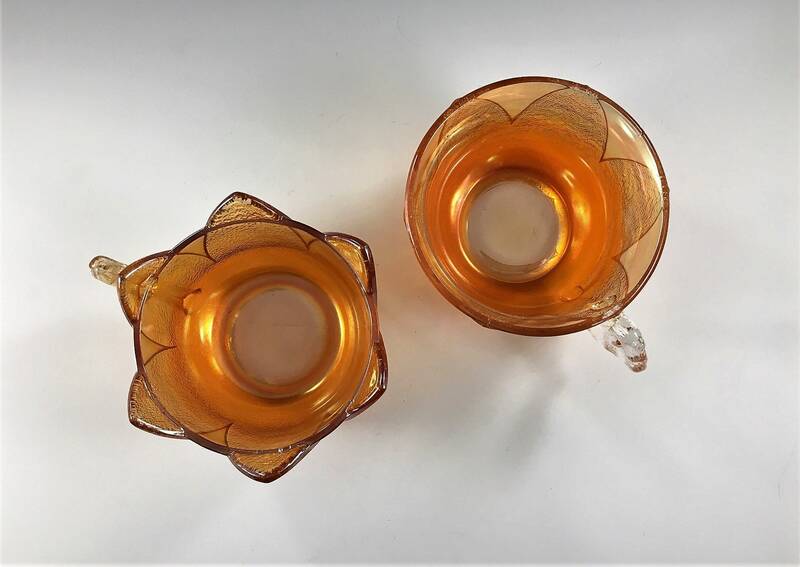 These punch cups are the two varieties in the "Orange Peel" pattern or Line 69. 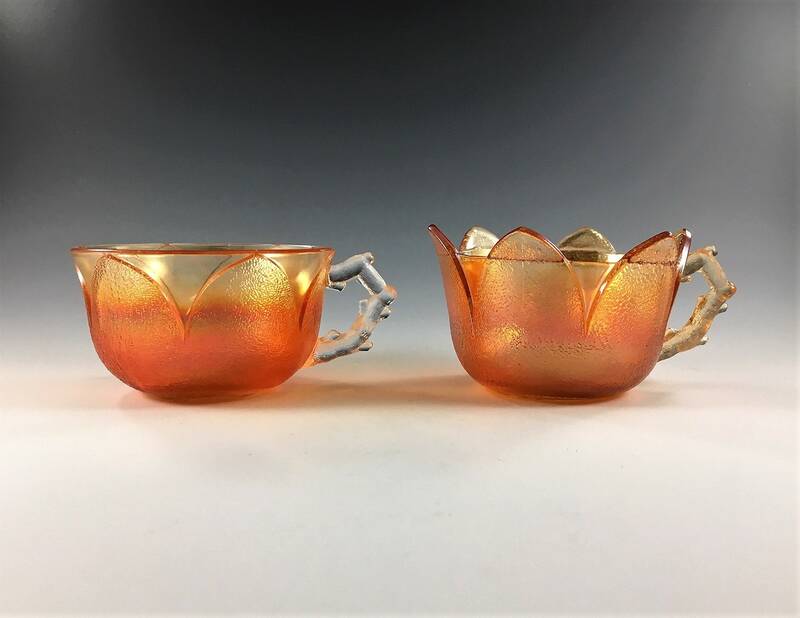 The cups are marigold carnival pieces and were produced during the Depression Era. 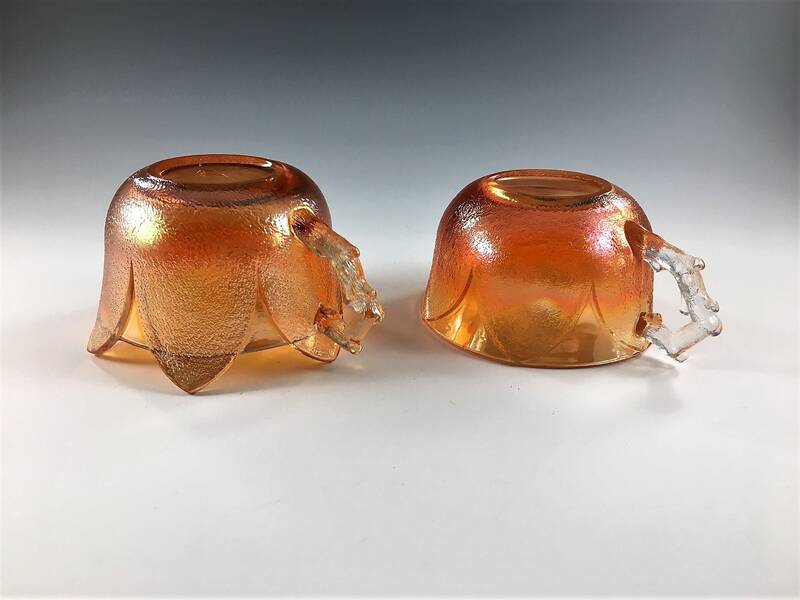 Both variations have the twig-style handle, and they are about 3 1/2 inches in diameter and about 2 inches tall to the rim. Both are in excellent condition with no chips or cracks. Great for your Carnival glass or vintage glass collection. Both cups for one low price.